Running with Shelby on the river trail in 70+ degree weather. My work-lunch-running-buddy Shelby and I FINALLY reconnected after weeks of having off schedules. Poor Shelbs was sore from her Ski to Sea relay race over the weekend. In short Ski to Sea is a 90 mile relays race with the following legs: 1. Cross Country 2 .Downhill / Snowboard 3. Running 4. Biking 5. Canoe 6. Mountain Biking 7. Sea Kayak. Shelby was the designated runner. Running Course Length: Approx 8 miles, 2,200 ft drop in elevation. She ZOOMED her way through the course and has been nursing sore legs ever sense. See my buddy is her adorable race photo below, yes I stole the photo, sorry photographer!!! Her increased fiber diet did not agree with Shelby so she asked me to tell stories to give her something to focus on, other than her gurgling tummy. As you know I can talk....well I guess you don't know that...as much as I like to write I like to talk ,so I thought up a few recent (uninteresting) tidbits and kept us moving. Eventually Shelby had to walk and I set on. My joints were sore, knew I would be icing when I got home. I could not pick up the pace, oh well slower it is. I passed a muscular guy with PERFECT posture. How do people run with straight backs? It is WEIRD to me. Soon after him a VP at my company bounced by, I didn't know he ran? I say "bounced" because he has wavy flowy hair and while running it flops up and down. His Ipod, Sunglasses and perfect attire reminded me that I am in a totally different economic class....I wondered if I could beat him in a foot race, the thought brought out my dimpled grin. Nearing the end of the run there were 3 women, who looked like tourists, on the path. They walked 3 abreast as if they owned the sidewalk, the Monkeys music video comes to mind. Should I weave around the middle? Or maybe do a spin move? Possibly hurdle the shorter one in the middle? Maybe rudely bellow GET OUT OF THE WAY!!! Nope, I simply went to the left and ran on the browning grass. FYI mentally, physically and emotionally preparing for my 20 miler tomorrow.. Any advice for a Rookie? All the best to the gang of bloggy runners in the San Diego Rock 'n' Roll this weekend!!! Go Aron (Runner's Rambles)! Go Amanda (Run to the Finish)! Go Sara (AKA Rookie on the Run) you are going to ROCK!!! Good Luck with your 20-miler tomorrow! I'm also training for the Seattle RNR, so I'm planning a 21 or 22 miler tomorrow. Since this is my third marathon, here are my 20+ mile run tips. Drink TONS of water today. Seriously. Drink a bottle of water and then go fill it up again. And again. And again. And running the run, visualize yourself running the marathon. Think about how good it will feel to be runnning the marathon. 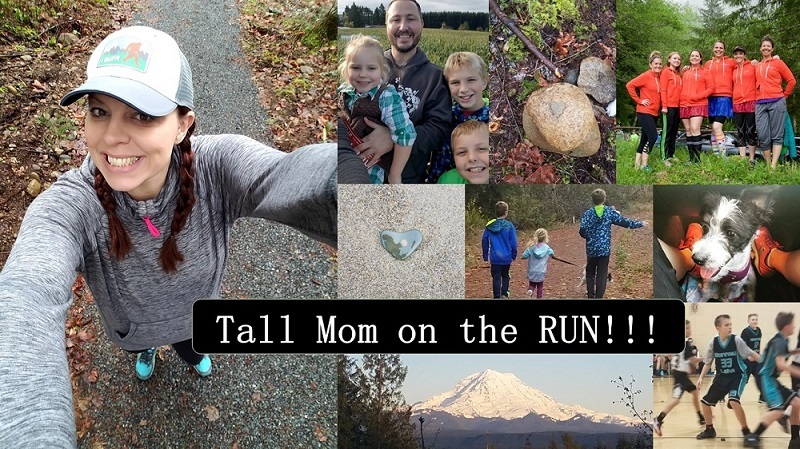 I've heard that in a marathon you run the first 10 miles with your head (try not to go to fast, plan your race) the next ten with your body (miles 10-20 are hard and take stamina and hard work) and the last 6.2 with your heart (you're in so much pain and you're so exhausted, you have to have a good attitude or the last few miles will be torture!). my advice is just enjoy the 20 miles as much as possible. :) and remember why you're doing it! I like to relax at the beginning so I can play with pacing later. I also vary terrain as much as possible... What's the race course like? Add hills, take them out, whatev. Ditto on Kelsey's advice for testing out race day nutrition and apparel. Try to run around the same time of day that you'll be marathoning in a month! Most importantly, have fun!! Running is so liberating. Keep a comfortable pace, not too fast, but not so slow you're bored. Embrace the fact that you CAN move your body over 20 miles! Spectacular! oh yay for your first 20 miler. I am so excited for you. There is something so amazing about running 20 miles and it isn't even a race, no t-shirt- no one out to cheer for you, just you and the road training for the big day. Enjoy yourself, be sure to take the first half easy. you dont want to over do it and then be a mess for the last half. good luck. I will be thinking of you. I ran 20 last sat and had a great run, tomorrow is 13-15 and I am so happy. hope it's another good one. don't let that number intimidate you!! Just think, tomorrow afternoon you will have run more miles in one day than many people do in a lifetime. Or more miles in one day than many runners ever dream of running at one time. You will do great! And remember what you are training for, it will help motivate you. Can't wait to hear about it! Good luck on the 20 miler!! I hate when ppl are rude on the paths! I mean really! They dont own the place! Your 20 miles will be awesome! You're running right now as I type. Just wanted you to know I was thinking of you! Can't wait to hear about it!! You'll have fun on your 20 miler! The only advice I have is: Pace yourself. And enjoy! Thanks for the encouragement for the marathon! It'll be your turn before you know it... and you are SO ready!